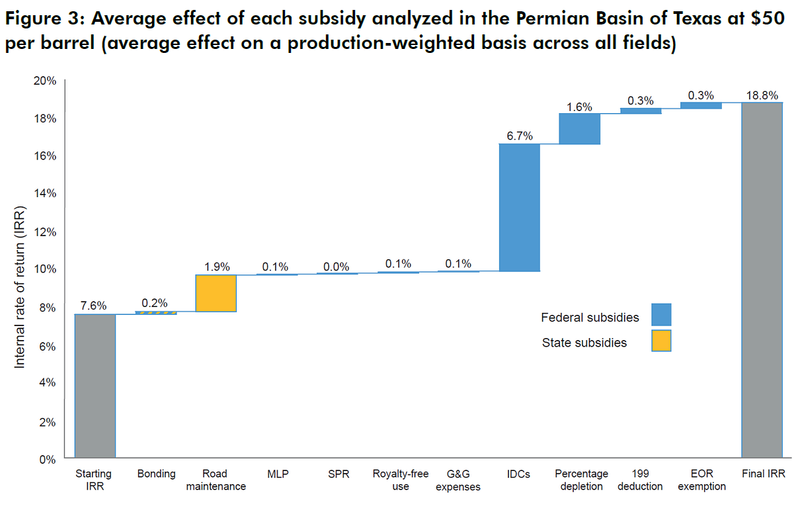 This paper quantifies the effect of federal and state subsidies on U.S. oil production, focusing on the 800+ fields that have been discovered but not yet developed, and examines the climate implications. Erickson, P., A. Down, M. Lazarus and D. Koplow (2017). Effect of government subsidies for upstream oil infrastructure on U.S. oil production and global CO2 emissions. SEI Working Paper No. 2017-02. 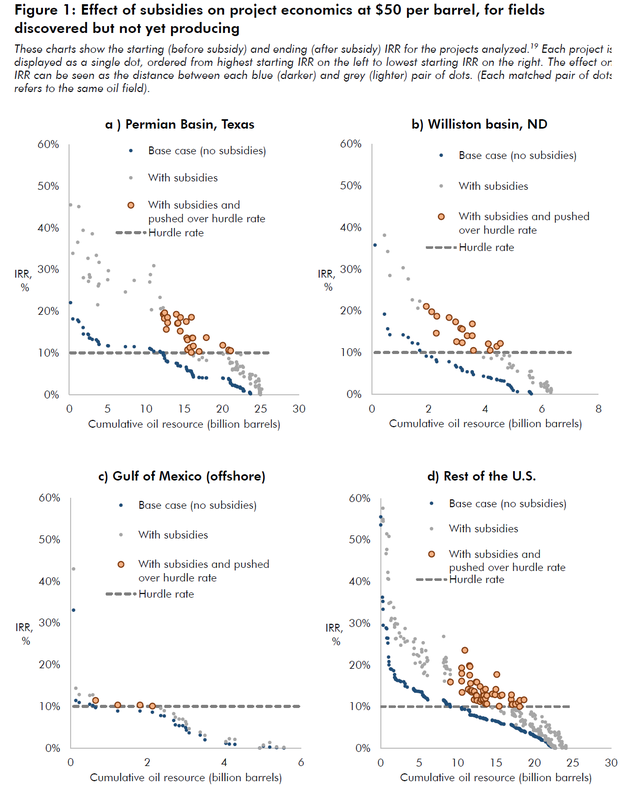 This paper quantifies the effect of a dozen U.S. federal and state subsidies to oil production and estimates the corresponding effects on global CO2 emissions. 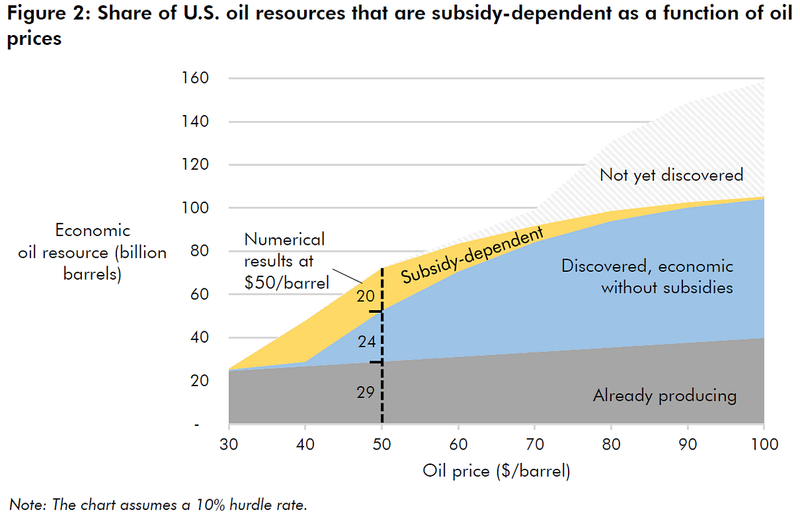 At recent oil prices of 50 USD per barrel, subsidies push nearly half of yet-to-be-developed oil into profitability, potentially increasing U.S. oil production by almost 20 billion barrels over the next few decades. Once burned, this oil would emit 8 billion tonnes of CO2, about 1% of the world’s remaining carbon budget to keep warming under 2°C, as envisioned in the Paris Agreement. This would represent a much greater share – perhaps a quarter – of a carbon budget for U.S. oil production alone. These findings suggest an even stronger case for subsidy reform than has been articulated to date. Not only would removing federal and state support provide a large fiscal benefit to apply to other national spending priorities; it would also demonstrate U.S. compliance with existing G20 commitments and generate substantial climate benefits as well. Note: an updated version of this analysis was published 2 October in Nature Energy. Major findings and conclusions are the same. Due to a somewhat different treatment of natural gas quantitites made during the peer-review process, numerical results in the updated, journal version differ slightly.